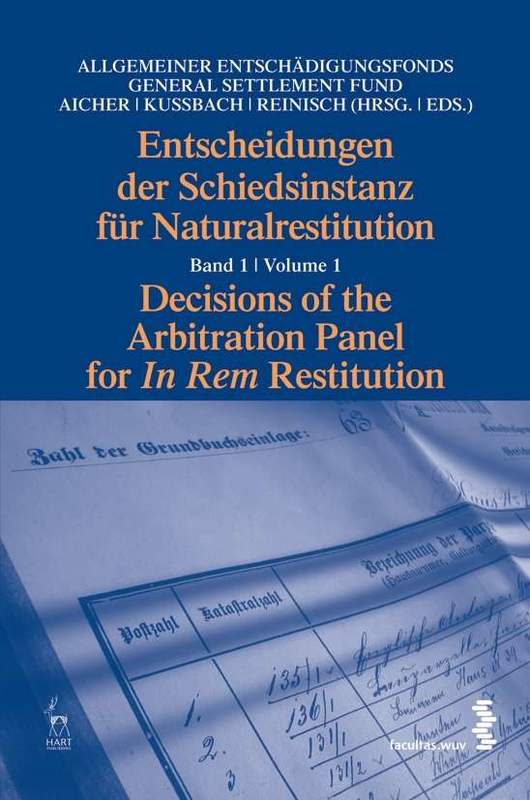 Volume 1 contains seven decisions issued in 2003/2004, in which the Arbitration Panel ruled on properties in Vienna, Lower Austria, Styria and Burgenland, and includes a description of the Arbitration Panel's work processes and procedure. In one decision, the Arbitration Panel recommended the restitution of a property in Vienna, Innere Stadt, owned by the Republic of Austria (no. 3/2003). The decisions on the applications for restitution of the Habsburg-Lothringen family property are also published in this volume. They were dismissed on constitutional and international legal grounds (no. 5/2004, no. 6/2004, no. 7/2004).